Country music entertainer Jason Aldean's home is currently being built! Check out the Aldean family's massive new Tennessee estate here! Country music superstar Jason Aldean’s home is in the process of being built and his family recently sold their former Tennessee estate. Currently the star, his wife Brittany, and their two children, Memphis and Navy Rome, are residing in temporary lodgings. Their new custom-built spread is expected to be completed in about a year. 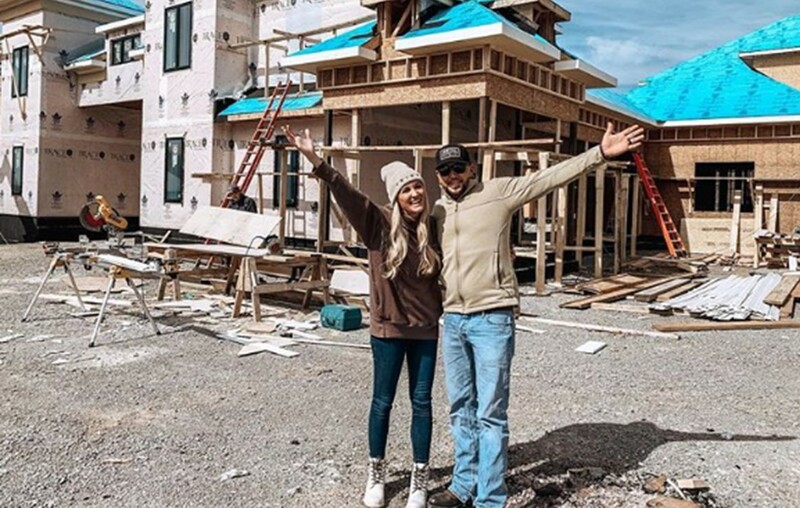 Check out the progress being made on Jason Aldean’s home below! Here’s a closer look at the place back in late February! Needless to say, the family’s new home is HUGE and will have plenty of room for the Aldean’s friends and family to come visit. Besides Memphis and baby Navy Rome, Aldean also has two older daughters, Keeley and Kendyl, with ex-wife Jessica Ussery. Believe it or not, Keeley recently turned 16-years-old! We’re sure the two young ladies are looking forward to their father’s new place being finished! Share this look at Jason Aldean’s home with other fans and be sure to catch him out on tour!